We hope you’re not too RuneScaped out after all the excitement of Double XP Weekend, because we’ve got more frivolity on the way this week. It’s finally time to get stuck in to the third and final Elite Dungeon… and confront the Ambassador! By now you’ve likely conquered the sandy pillars and steps of the Temple of Aminishi and successfully traversed the burning depths of the Dragonkin Laboratory. But even if you haven’t, the time has come to take the plunge and tackle the watery challenge of The Shadow Reef as the Elite Dungeon trilogy draws to its epic conclusion. Players must descend ever deeper into this multi-levelled underwater abyss and prevent a ritual designed to summon an ancient evil to Gielinor. This story driven adventure takes you to the realm of the dreaded Ambassador, although he is just one of three bosses and loads of minibosses – many of whom are voiced – that players will have to face if they are to emerge triumphant. Also look out for the player-named boss – we’re certain you’ll spot them when you see them! Successful adventurers can, among other things, lay claim to a new rare tier 92 two-handed crossbow. The Eldritch Crossbow must be assembled from three pieces – the stock, limbs and mechanism – and also boasts the Split Soul special attack. Also up for grabs are black stone arrows. These are also tier 92 and have a special effect of reducing a target’s defence. They are created via fletching after unlocking the recipe from the reward shop using the arrowtips dropped from the dungeon. Elder logs can now be fletched into elder arrow shafts, which are a new ingredient for these arrows. On top of this there are three new sigil blueprints – Dragon, Demon and Undead. They can be bought from Bryll. They each require 50 black stone hearts, 1 cut onyx and 30 resilient, silent and oceanic components respectively to craft. To get started on The Shadow Reef, head to the boat east of Daemonheim. Note that you no longer need to have completed any of the Elite Dungeons to access the others. There are no level requirements, although be warned that the combat is aimed at higher levels – this is definitely the toughest of the three Elite Dungeons. There are also a few incoming changes to the other Elite Dungeons, Temple of Aminishi and Dragonkin Laboratory. Note: We originally promised an update to Chargebows for this update. However, some last minute issues have arose so we've had to pull it from this update. We'll be trying our hardest to get it to you as soon as possible! The Spotlight system is rolling out to Elite Dungeons. Each day a different dungeon will offer a trio of bonuses to players (+25% Dungeoneering experience, an extra miniboss, -20% death reclaim costs). We are slightly tweaking the loot found in Temple of Aminishi – don’t worry, it’s a buff! Also incoming are boss timers for the Elite Dungeon bosses, allowing you to track your best performances – and of course, compare them to your friends. 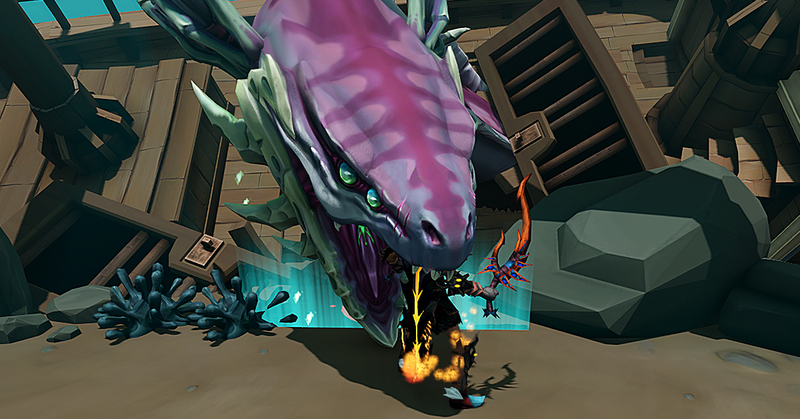 For this update, we have two boss pets for you to check out. Details below! Ambi (1/300 solo drop rate with a threshold of 60 in solo, or 1/1500 group drop rate with a threshold of 300). Should you be able to kill the Ambassador there's a chance you may snag this incredible pet! Bisdi (1/300 solo drop rate with a threshold of 60 in solo, or 1/1500 group drop rate with a threshold of 300). 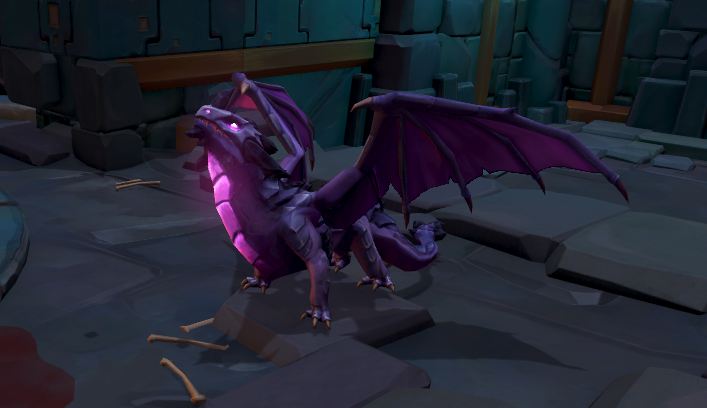 If you have the inert black stone crystal drop from the Dragonkin Laboratory you'll now be able to activate it to claim this pet! As a bonus, we’ve got a nice selection of Elite Dungeon wallpapers for you to download. Head over to Flickr to check them out. There are a couple of bug fixes this week, to read them head over to this page. This is a reminder that Premier Club 2019 Gold membership will be unavailable to purchase from Sunday 3rd March, 23:59 Game Time. Seize the opportunity of our best value RuneScape membership offer while you can: become a Premier Club 2019 Gold member! Our resident PvM expert Mod Lee is ready to take on the last entry of our Elite Dungeons, but will he survive the challenges sent his way by the dreaded Ambassador? Join him in his very first dive into the depths of the Shadow Reef. The final book of our Elite Dungeons Trilogy is now open, and we’ve prepared a very special gameplay live stream for the occasion! Shauny join forces with non other than community favourites TheRsGuy and Wazzy for an underwater challenge. 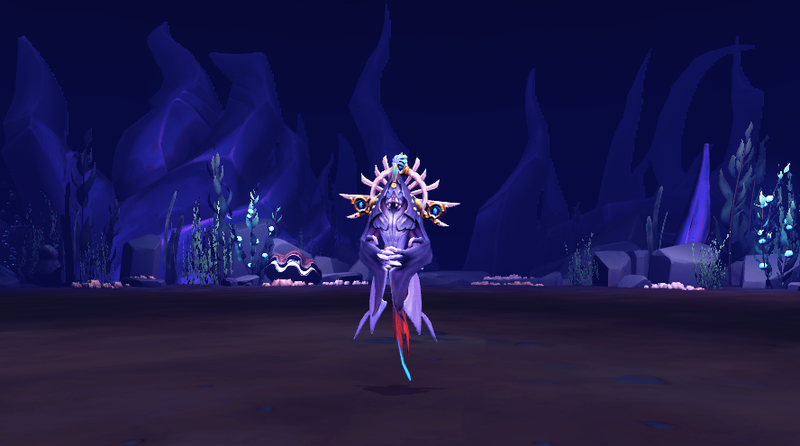 Can they survive the Shadow Reef and prevent the Ambassador from unleashing an ancient evil upon Gielinor? Bring popcorn and your towel, it’s going to be EPIC!